Announced in August 1938, the Ten Series M was the first Morris to use “mono-construction” techniques. Mono-construction techniques were already in limited use by car manufacturers in the USA, Germany & France and had just been introduced in the UK in late 1937 by Vauxhall for their 10/4 saloon. 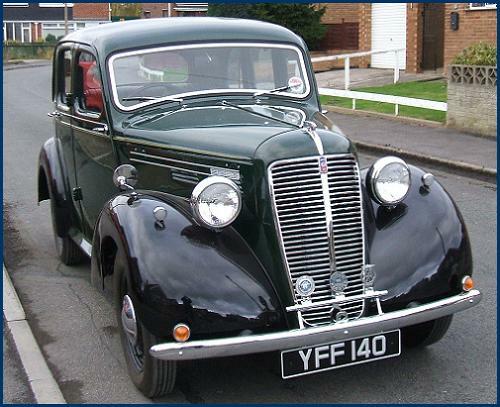 interrupted by World War II, although in common with Austin, Hillman & Standard, a light utility variant (the ubiquitous “tilly”) was produced.